At hypertension stage 2 your systolic value is between 160 – 179 mmHg and your diastolic value is between 100 – 109 mmHg. This is the classification set by the World Health Organisation (WHO). Hypertension Stage 2 is a dangerous form of blood pressure. It most likely needs meds to therapy this form of high blood pressure. Supporting this you should be doing sports and change your nutrition. Hypertension means that the heart has to work hard too to ensure a supply of the entire tissue in the body. The blood pressure increases because more blood must be pumped into the body, or because an increased resistance of the arterial walls is present. As part of the heart muscle grows due to this continuous load on and on and therefore needs more oxygen. Then step sequelae such as arteriosclerosis (vascular calcification) on the oxygen required is only supplied insufficient. Therefore, it is considered a normal blood pressure at an early stage in order to stabilize their own life expectancy to the maximum. My blood pressure was 154/105 I have been having heart palpitations and I have fainted do I have anything to worry about I have had chest and lung infection 5 weeks is this the cause. 171 over 126 pulse 98. Clonidine is an amazing med that will instantly lower your BP and must be regulated by an MD. It helped me on my worst days of hypertension as well as came with a light sleepiness. Although the side effects of the dry mouth was unpleasant it works! Ask your docs about it today! Are you still alive? It is now 2018. Take 2 large aspirin then call a cardiologist now! Or 911!! 146/93 … what measure do i have to take to reduce this without getting to use any drugs?? any recommended herbals or fruit??? Dee 146/93 is borderline high blood pressure. Your GP might put you on a blood pressure med after keeping an eye on your BP. I’m prescribed 10mg Lisinopril to lower my BP of 170/91. Its not borderline you are stage one hypertension see a physician. Please. 146/93 is stage one hypertension.My b/p was 148/92 at the doctor one time,I found out that was stage one hypertension and yours is in the same range as mine. to lower blood pressure without medication you need to learn deep breathing techniques. Breath in for 8(ish) seconds (make sure to breath through your diaphragm which means you belly goes out and your shoulders stay down) hold is for 4 seconds and then breath out slowly for another 8 seconds. Some people may need more time, some less, it’s not exact. Note- you may get light headed, if you feel like you are going to pass out… STOP. Practicing deep breathing can help in lowering blood pressure and decrease anxiety. The other thing you can do is exercise and generally speaking, lose weight. FYI- I am not a doctor, i am a “whole health specialist”. When in doubt, always get a Dr opinion. Couldn’t have phrased or better! Insensitive juvenile comment. REMOVE YOURSELF FROM THIS FORUM. Wow, no wonder u fukers have high blood pressure. Lighten up a little, theres humor in EVERYTHING! Easy there, u will cause yourself to have a stroke. Learn to laugh a little and you might want to see someone about those pesky anger issues. Wow. What’s wrong with you, Dave? That was ugly. I was stationary for over an hour, mine was 160/103. Just don’t put plastic flowers for me. Cut out the gravy. Take way less gravy. Go follow someone who doesn’t take gravy and check his/her blood pressure. You should go to the ER! My reading is 176 over 80,pulse rate 69 what should I do health wise to reduce this. 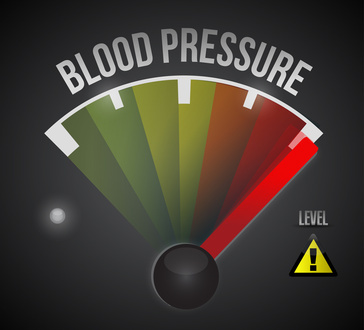 Your blood pressure readings are very serious and may indicate all sorts of problems, not just a heart attack. Case in point, my husband had a heart attack 2.5 years ago. We cleaned up our lifestyle, good nutrition and regular exercise. He did better for awhile. He slowly developed “drug resistant” heart blood pressure. No matter how many drugs they put him on it continued to climb. After several months he suddenly became ill with an acutely inflamed and infected gall bladder. He spent 2 months in the hospital, nearly passed 4 times! When they finally removed his gall bladder it had turned gangrene. He has recovered and guess what, no more high blood pressure! Not a laughing matter! Same here, I was told that I have congested heart failure. Given medication for this. Then, I felt like I was getting a stroke, told my wife to call the ambulance, BP 71 30, hb 51. Seems like an infected gall bladder almost died twice before surgery. Now can’t get me off heart medication because my blood pressure shoots way above. So cute in half for now. Don’t know what to expect from now. Just hoping the best. I just took my bp it was195/105. Feel a little different but ok. S this bad? Zaran thats a very serious reading! Book a time and schedule a visit to have a blood test ..look after yourself! I’m at 154 /106 and things are blurry and I feel faint. My pressure is 232/123. I feel very, very dizzy and my heb is throbbbbbbingg. It usually goes away after a few minutes, but this is goingggg way to log. My throat hurts a lot to. Throat and lower jaw pain in women with that high of bp is a symptom of a heart attack. Go get checked before the damage becomes too great to treat. This morning without taking breakfast I checked my blood-pressure and it read:131/101 with a pulse reading of 62. What does this mean-bad or good? When is the best time to check blood-pressure and under what conditions? my grandmother was taken to the ER tonight with Abp of 225 over 100. the doctors brought it down a little and release her and said nothing was wrong with her.?? Same happen to me beck to work no reason why pressure was 220 over 120. When weather is hot 90 F my pressure is 115/75 now is getting cold and my pressure is all over I will have to move to Costa Rica hot year round. Took my blood pressure today and it was 160/103. I’ve been having ringing in my ears last couple days as well. Do I need to get to Doctor right away? I’m not on any meds for it – been high last couple years – but I eat healthy mostly and exercise. 41 female and family history of heart disease. It’s never been this high tho and I’m a little freaked out. just took my blood pressure it read 173/101 is this good or bad? My blood pressure has been in 200/114 and a little lower for the past 4 days. At one point heart rate was 130 and I was just sitting on my bed. I have a pace maker because of on going syncope. I passed out today and twice yesterday. I’m currently not on any blood pressure meds, they took me off after having pacemaker put in. I was on 150mg of metroprolol. I think I need to be back on them or something else. Im a 43 year old male. my husband has Autonomic Dysfunction his blood pressure goes up and down real quickly. I took it at 6:00 am 151/96 paulse 95, at 6;45 167/118 paulse 108, 700am 157/107 pualse 111. He gets really dizzy and almost passes out if no one is walking with him. VP.. 184/96…headache… Been consistently about 175/100… For a few weeks… What should I do? Took Acv to help, did at first.. Now not so much.. I have been constantly at 184/102. Headaches, itchy and dry skin, mostly legs. Cut out energy drinks from 1 or 2 per day and now Bp 150/94. Doc says stop smoking and drinking and exercise more regularly. Already feel better but still experience palpitations and pain In my heart occasionally. Time do go onto meds. Energy drinks are the devil. Cut them out altogether. Also stop smoking and drink less alcohol. 142/82 Pulse 74 ON 320 mg Valsartan Mylan started at 120mg doc upped it. Mine is 174 over 88 and heart rate 115 and I’m a white female age 53???? Hi. I’m new to this my blood pressure just started few months ago.i had the 24hr monitor on and it went down slighty at night but when I went to get it of it was 174/102 still and I’m already on Amlodipine 10mg NW they have gave me Lisinopril 2.5mg NW have 2take both..Also had ecg she said my left ventricle was releasing blood 2fast 2 my kidneys ( in her words blood hitting them like race horse) any1 any advice and what will happen next.. Thxs ? 163/80 Top number is too high,bottom number is good.Mine was the same at my doctor appt.yesterday and pulse was 83.My top number has never been that high before,my doctor told me to take it again after my appt.I took it when I got home it was 120/78. My bp is 168/123 my hr is 134 I’m on meds but not helping help? I have a 163/108 no. I’m having leg, foot, lower back pain, hands and arm pain on one side of the body (right). I’m at doctor as we speak. I’ve made an appointment for next week but nothing available until Wednesday. Not really that high is it? I’m on Captropril 50mm and even though I took my meds this morning 4 hours later my blood pressure 157/114 pulse 85. Took it 3 times and that’s the lowest reading. Should I be concerned. BP has been going up and down for the last few days.. Highest was 184/106 @ 11:20 this morning. 100 mg of metropropolol twice daily.. Spelled wrong I’m sure… Slight headache… No bloody nose, but blood in nose.. Heart attack 16 years ago… Pretty scared.. 66 yr old female. Went to the doctor today cause I wasn’t feeling good and my blood pressure was high 167/120 they gave me meds but what can I do to help this high blood pressure. My friend is 18 and has a blood pressure of 192 over 100 is this very serious? Before I was on meds to lower bp every time I drank a beer even just one can I got a pounding headache. Now I’m on meds and bp is under control I never get headaches from drinking. If I wasn’t a hgv driver I wouldn’t have had a medical and would never had known I had high bp 185/104 I’m 45 and doc said in 10 years time that would of been it..
BP 159/106. Feel foggy headed and dog tired. My boss goes up and down a little but can’t remember if it’s been like this. Feel confused and scared. I suffer from PTSD and anxiety disorder. Just took meds to see if helps. At home alone with young kids so really worried. I read that if you put your feet in a tub or foot bath of cold water, relax for about five minutes then take them out and put your feet in warm water……that could lower your pressure immediately. I know this sounds crazy, but a friend of mine tried it & it worked. Still try to go to the doctor……….. Nothing replaces a doctor. It won’t hurt to try it. Post your findings. I wonder if pressure has anything to do with emotional health. I read if you get a lot of hugs …..that could lower pressure. If you are in a toxic relationship that could increase or cause high blood pressure. Bp 139/91. Ill start walking. Does anyone know if lemon juice and cayenne pepper lower blood pressure? If anyone has any experience please respond. Ty. Just took my blood pressure and it 151/108 and heart rate was 98 is this bad? Hi. Out of nowhere (my usual bp is 122/68-ish), my bp for the last 4 days has been crazy high. I got tired of getting up and checking it and taking extra lisinopril, so at 8 am this morning, it was 212/117 pulse 74. Throughout the day, I’ve taken 70 mg of lisinopril. Its brought it down to all of 174/102. I have a Dr’s appointment on Monday, and I’m just trying to live so that I can make it. Hmm, 175 over 106, pulse 98. Not good. I have chronic mesenteric ischemia and I’m symptomatic meaning I’m in the latter stage of disease. At any given time, and I’m on bp meds, I’m 200/100. Hours later I could very well have 80/65. Can’t get it right! I was on Losartan for some time, but have been sick with the flu for the past few days. I know that can raise BP, but my high values scared me. I checked it after I woke up in the middle of the night yesterday because of a drumming sound in my ears. It was my heart pounding like crazy. I took one of my husband’s Lisinopril and it take down quickly. I left a message for my doctor to see if I could switch. Since those are taken in the morning, I didn’t take one last night and just woke up again from the pounding noise. My reading was 186/107. It scared me. I took another Lisinopril. I am a 52 and overweight. I lost my husband unexpectedly 6 months ago who was my 19 year companion. Two weeks ago I had a terrible sinus infection. Ever since I have been experiencing pain in my sternum, I can feel my heart beating and can not sleep well. I had two bp readings from the Doctors and they seemed to be concerned. This morning my bp was 143/105….I can not sleep. Should I go to the ER?! I currently take Ramipril, amplodipine and indapamide for stage 2 Hypertension. Good to know… my part-time help so to spek recomends the same.. but also to quit using extra salt and stop proscessed foods. but as far as working … well lets say im a touch concerned..ill see after my 4 weeks vacation.. Took my BP, was 164/115, I am 46, could this be why I’m getting bad headaches? Bp 163/100 pulse 59. Should I be concerned? I was put under for dental work. BP was 170 over 34. Had to wake me up. What happened? I think I could have died? Had x2 24hr monitors previously – Averaged out okay acc to Drs but many readings were around 164/114.Its like that again now,despite relaxing all afternoon- but what’s the point of seeing the dr if they think it’s not a concern? 157/101 with HR 99. Was 161/104 yesterday… Have been in hospital recently and have suspected lung disease, should I be worried about my heart too or could this just be a side effect? I started having extreme tachycardia (hr 187) during and after a 6 month exposure to carbon monoxide fumes from a faulty gas furnace.. that was November 2005-May 2006.. I was almost dead before anyone would believe it was the furnace. My short term memory was down to about 2 minutes, I’d lost most of my hair, etc.. Once the furnace was replaced, I started improving, But I have irreparable heart damage as a result. as well as permanent neurological damage. In the years following, I had a Grand mal Seizure, a Heart Attack, a TIA, and my Breast Cancer may have been associated with the long term low level carbon monoxide exposure, as well. I also suffer from Intractable Pain, which is due primarily to spinal issues. Whenever my pain level is high, so is my blood pressure and heart rate. I was just taken off my Hydrocodone (which not only helped with my pain, but also helped to control my bp and tachycardia, along with Metoprolol.) My bp that got me into this forum was just: bp 162/109 hr 126. My question to the group: Has anyone else been exposed to long term low levels of carbon monoxide, with resulting heart damage? And have pain sufferers noticed a link between their pain levels and their blood pressure and heart rate? Thank you! Mine was 173 over 99 pulse 105 earlier yhis morning. Got these random pains and needle like feelings though. The top.number is.it bit the bottom number is alittle.low I would check with your Dr..
My blood pressure is 204/143. Suggestions? I took my blood pressure it was 150/109 i took my medicine Amlodipine 5mg its coming down. I must take bettet care of my self. I just left the doctors office ( First time visit). My blood pressure was 170/101. Although they sent in a prescription that will be filled in 3 days, they did nothing. Im worried my blood pressure is to high without doing anything to bring it down. But after 12:00 pm every thing back to normal. My blood pressure is 156/136 pulse 72, anything to worry about? Okay, I’m on a low dose of Blood Pressure Medication however today my blood pressure at 12 noon was 168 / 101 / 67 then at 1215 it was 179 / 96 / 52 , I waited until 1410 to take again and it is 155 / 76 / 70 . Should I worry or just keep checking. The only symptoms are light headed and difficulty walking. Went to my doc few days ago, my bp she said was high it was 70/170 I got a med but just started it. I’m almost 61 but don’t feel it. Is that real high for bp? The pharmacist said its high risk for stroke or heart attack. But I have a lot of things going on in my home right now n I figure that’s contributing to it? Anything. 140/90 or higher is dangerous. Most people arent going to immediately pop a blood vessel, but the damage is being done. Higher levels equal more risk of instant death or long term disease and disability. Im just a nursing student, but they hit this one hard in class. 162/97 Hypertension stage 2. What does this mean? On 20mg lisinopril /12.5 hydrochlorothyiazide 2x a day. I exercise 5 x a week for an hour. My bp was high yesterday 157/94. today?? well 177/35. wtf? Today 170/112. And I’ve been on labetalol for quite some time. 180/112 at doctors office, i have extreme and severe social anxiety and agoraphobia, how can i keep my brain and blood pressure under control without meds ?? 173 over 130 with 119 pulse rate. Face is tingling, clammy and sweaty. Dizzy. Why is this happening? My BP.is 142 over 107 I feel flush and I’m watching it closely and trying to relax I’ll check it again in the morning . I’m usually 179 so I’m getting better ? I have had an weak aching right arm for two months and I had numbness in right side of the face couldn’t talk dizzy Episode a few weeks ago for about four mins..
My blood pressure is averaging165 /100 . They did all the tests. When I was in the mri machine the nerve from my collar bone to my thumb was screaming. I figure pinched nerve.. But it doesn’t explain the other symptoms. Has everybody checked to make sure they are properly hydrated ? 155 over 102. Should I be concerned? Now up to 160 over 102. 31 y/o female here, blood pressure 138/107. Heart rate 91. Get headaches and chest pain often. i woke this morning got dressed and took my BP at 9.31am it was 200/105 pulse 56.
took 15mins later down to 170/105 Pulse 56. 124/86 pulse 97 on right armamd 110/81 pulse 84 in the left 10 minutes after Benazipril. Before takinged Read 168/109 in left arm with 96 pulse. I am sick of pounding chest and feeling dizzy. Even though meds bring it down temporarily, need to make some changes in my life. Relationship, diet, exercise, work. I’m 53 and weigh 170 something. Not happy with me. 124/86 pulse 97 on right arm and 110/81 pulse 84 in the left 10 minutes after Benazipril. Before taking meds read 168/109 in left arm with 96 pulse. I am sick of pounding chest and feeling dizzy. Even though meds bring it down temporarily, need to make some changes in my life. Relationship, diet, exercise, work. I’m 53 and weigh 170 something. Not happy with me. non smoker non drinker 58 year old male not taking any medication .participated in sport for 35 years bp is 154/103 need advice on how that level and how to lower if need be ! Dee my blood pressure is 178/103 on tablets for it went hospital it was near enough normal but every time I go doctors it’s high can anyone explain why this is. My blood pressure is 161/101. should I contact a Dr. even if I feel ok? Last time I went in because I thought it was high, he blew me off.